Artsebarsky Omega Speedmaster has spent more time in open space than any other watch. 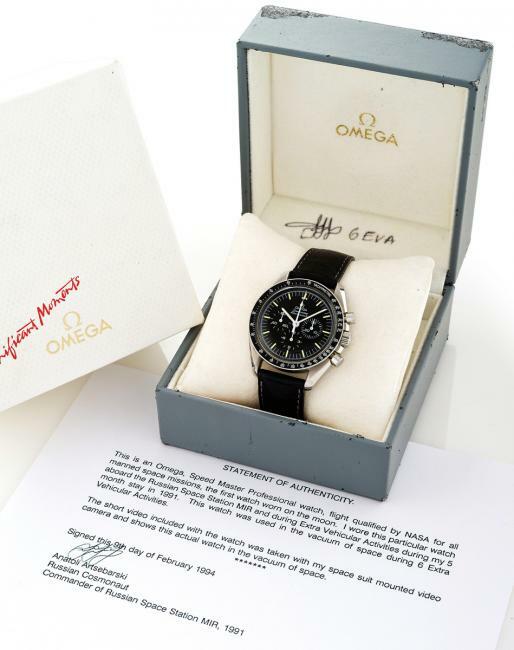 Last week, we wrote about the Russian cosmonaut Anatoly Artsebarsky’s ‘flown’ Omega Speedmaster that spent more time in open space than any other watch and it was up for sale at Antiquorum. Last Sunday, at the Geneva auction, this unique timepiece found a new owner, who was ready to pay CHF 58,750 for it. The final price exceeded the pre-auction estimate CHF 20,000-40,000. Find more details about this unique watch here.